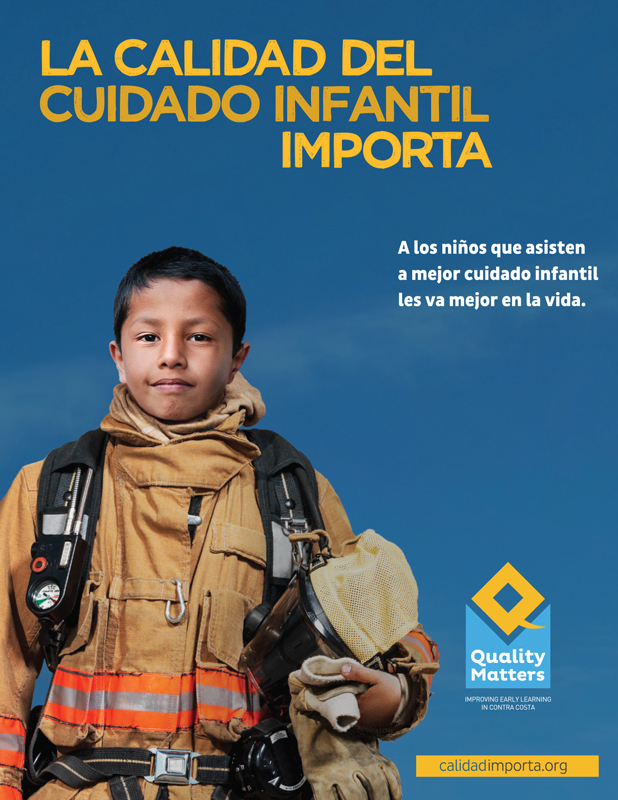 First 5 Contra Costa collaborated with CocoKids and the Contra Costa County Office of Education to develop this campaign in order to support and promote quality early care and education for children ages 5 and under in Contra Costa County. 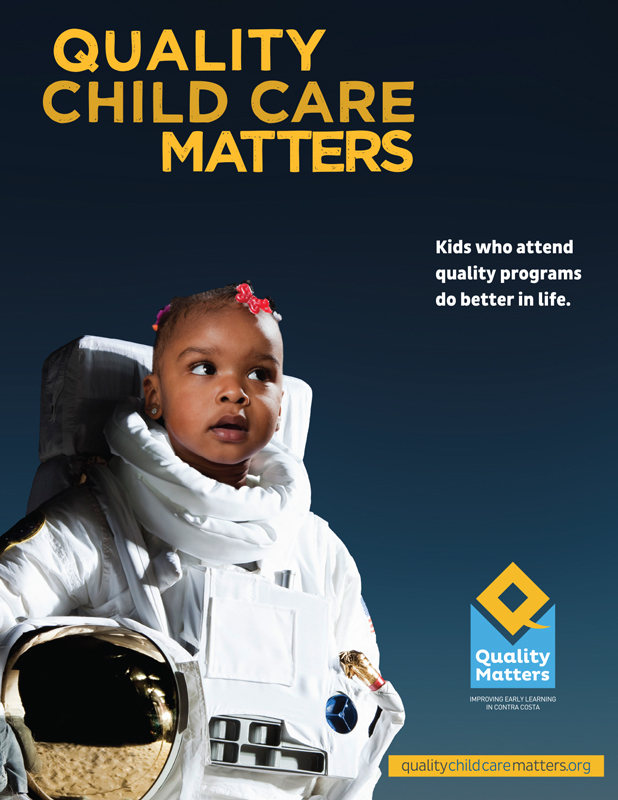 Quality Matters is Contra Costa County’s Quality Rating & Improvement System (QRIS)—a system that supports and incentivizes child care providers to offer the best care possible. It also rates participating programs on their level of quality and helps providers engage in activities to raise their rating. 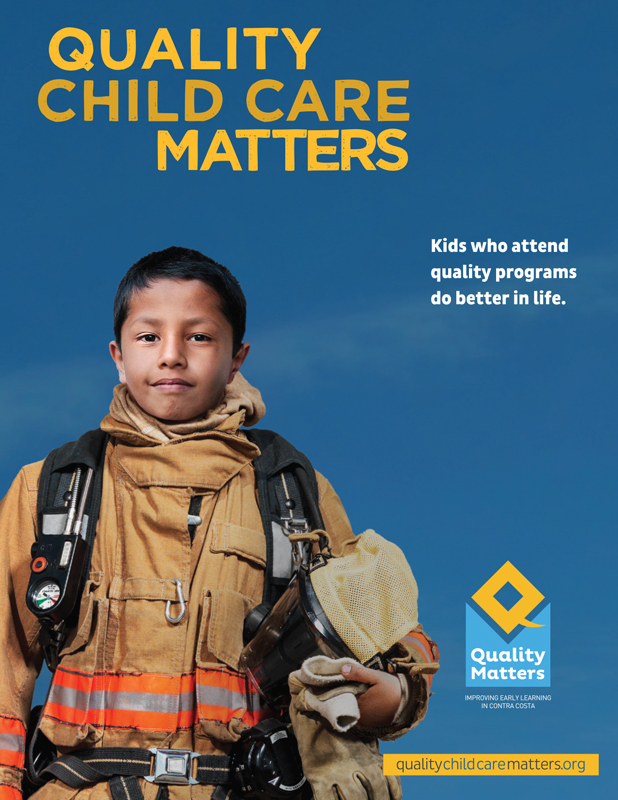 To date, 95 licensed child care programs in Contra Costa County are participating in Quality Matters. Most of these sites are located in low-income communities or serve children with high needs. Providers, who voluntarily join the program, receive training, coaching, support and advice along the way. The process is continuous and providers can reapply for a rating every two years. Due to resource limitations, some sites may be offered a “rating only.” These sites will receive a comprehensive assessment and rating to guide their quality improvement efforts and as a tool to describe their program to prospective parents and caregivers. Contra Costa, Diablo Valley, and Los Medanos Community Colleges helped create the Quality Matters program.